Tammy began part-time training in November and on January 1, 2017 assumed the role as NCJ VIM coordinator, succeeding Lorna Jost who retired after 13 years of service. 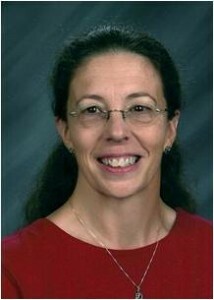 Kuntz is a deacon appointed as the UMVIM Coordinator through the East Ohio Conference. Previously, she served on the UMVIM-NCJ board, as UMIVM coordinator for the East Ohio Conference, served on the missions committee of the North Coast, Firelands, and Mid-Ohio Districts, and as Peace with Justice advocate for Firelands. She is a board member of Blue Rose Mission and Midwest Mission Distribution Center and served on the board of United Christian Ministries at Kent State. She has led many mission journeys domestically and internationally. Married to the Rev. Donald Kuntz, she has two adult children and five grandchildren. Kuntz holds a Doctor of Philosophy in Music Education. “As team leader, I encourage others to share in the joy of being in mission with our neighbors around the world,” she said.